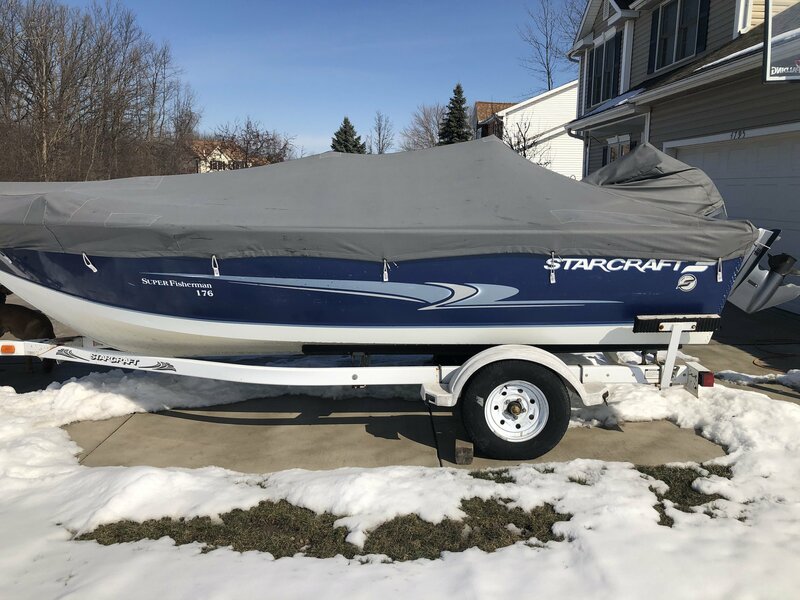 2001 176 Starcraft Superfisherman for sale. 115HP Yamaha fuel injected 4stroke. Low hours, one owner, no accidents. Two live wells, Minnkota 24V bow mount trolling motor, new Garmin gps/Fishfinder with down view and chirp. Custom winter cover included $11,900.00.